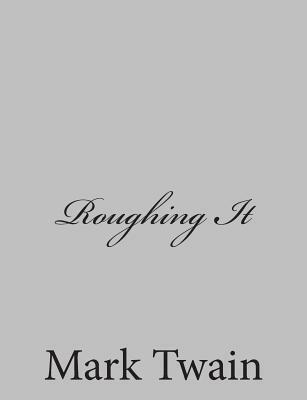 Roughing It is a book of semi-autobiographical travel literature written by American humorist Mark Twain. Roughing It illustrates Twain's early adventures, including a visit to Salt Lake City, gold and silver prospecting, real-estate speculation, a journey to the Kingdom of Hawaii, and his beginnings as a writer. In this memoir, readers can see examples of Twain's rough-hewn humor, which would become a staple of his writing. Twain began his career writing light, humorous verse, but evolved into a chronicler of the vanities, hypocrisies and murderous acts of mankind. At mid-career, with Huckleberry Finn, he combined rich humor, sturdy narrative and social criticism. Twain was a master at rendering colloquial speech and helped to create and popularize a distinctive American literature built on American themes and language. Many of Twain's works have been suppressed at times for various reasons.